This post is in reaction to the recent explosion in anger over a certain online international Blythe retailer’s limited number of preorders for a certain Blythe release with teal hair. And I think you all know who and what I’m talking about. It’s not the most important thing in the world. Say that out loud. Then repeat it to yourself again. And again. And again. And again. Until it sinks in. What you need is oxygen, water, food with nutrients, warmth, a form of shelter, and an ability to afford and gain access to all of that. You don’t need a doll. If the only thing that you have to complain about is the fact that you weren’t one of the fifty people who managed to snag a preorder from one website (and I’m sure other top shops will have preorders available too), you have an amazing life. I hope you can recognize that. You may want the doll. And you can probably get her somewhere else – either from another website’s preorder system, a certain big auction website, or even second hand. It’s not the end of the world unless you make it the end of the world. 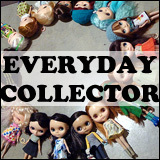 Blythe isn’t a cheap hobby, it’s just not by its nature. The dolls are expensive, the clothes are expensive, the shoes are expensive. But none of them are necessities in keeping you alive and happy and healthy. You know what is necessary in keeping you happy and healthy? Not stressing over things. And holding onto that anger that you weren’t able to get a preorder or blaming a company for the number of dolls they had (which was beyond their control) is really not doing anyone any good – but most of all, it’s not doing you any good. You have an amazing life. Don’t stress the little things. 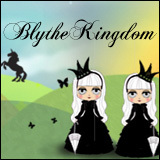 QOTW: Why is Blythe important do you? 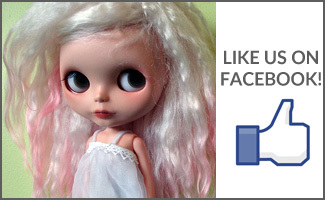 QOTW: If you could have any Blythe in the world, who would it be? Amen to that, Michelle! I was one who tried to get her and am certainly disappointed. But I’m not angry and don’t see the point of getting that upset about it. You are correct in everything you say here. I have other fish to fry and if I do manage to snag this lovely lady, the struggle will make her all the more special to me. You never know what’s around the corner!